Autumn is here and what else is more Autumnal than homemade cinnamon buns? Well, apparently pumpkin lattes, oversized jumpers and crunchy leafs are, but that’s not that point. 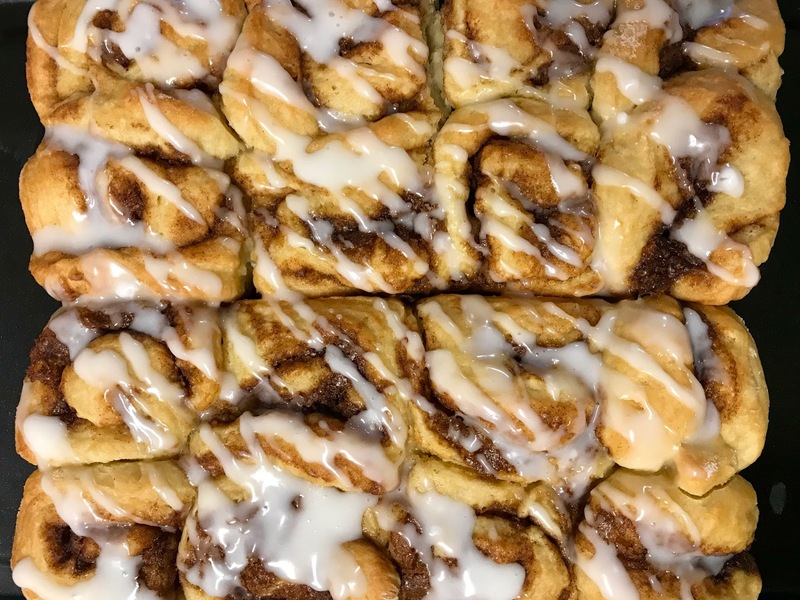 Cinnamon rolls are the bomb and these are obviously the perfect season for it. Just picture it – freshly out the oven paired with a nice hot coco, tea or even a coffee! 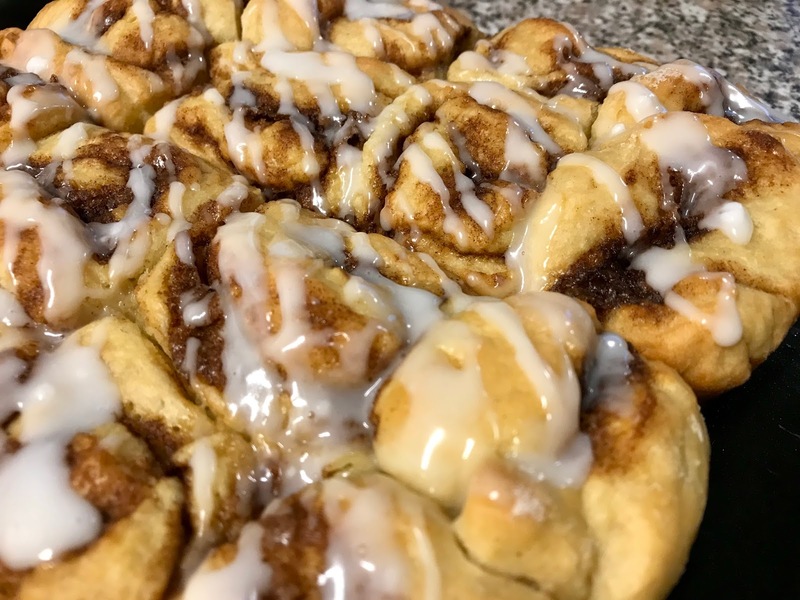 You could potentially “cheat” and just buy pre-made dough if you’re in desperate need for cinnamon rolls, but this seems to be one of the quickest recipes we’ve come across. I, Jessica, personally don’t enjoy raisins so we have no included those – on that note, do you think chocolate chip would work? 1. To Make dough:In a large bowl, mix the flour, the sugar, salt, and yeast together until evenly dispersed. Set aside. In a small microwavable bowl, heat the water, milk, and butter together in the microwave until the butter is melted. Stir the butter mixture into the flour mixture. Add the egg and knead with hand or with stand mixer for 3-4 minutes or until the dough is no longer sticky. Place in a lightly greased bowl and let rest for about 5 minutes. 2. Preheat the oven to 200 degrees and turn off after 10 minutes or just before placing rolls in oven. 3. To Make Filling:After the dough has rested for 5 minutes, roll it out in a rectangle. Spread the softened butter on top. Mix together the cinnamon and sugar and sprinkle it all over the dough. Roll up the dough tightly and cut into 9 even piece. Place in a lightly greased square pan and lightly cover with foil. 4. TURN OFFthe oven and place the cinnamon buns in the oven to rise for 20 minutes. Keep the buns in the oven and remove the foiland turn on the oven to 375F. Bake the cinnamon rolls for 15-20 minutes or until golden. Remove from oven and top with glaze. 5. To make glaze: Mix the powdered sugar, vanilla and 2 tablespoons milk together until smooth and lump free. Drizzle over warm rolls. Oh I do love a nice cinnamon bun with a cup of tea and these look delicious. I am sure that I could adapt the recipe 😊. OMG they look so so good! I love cinnamon buns! I haven't had one in a really long time! wanna make these!